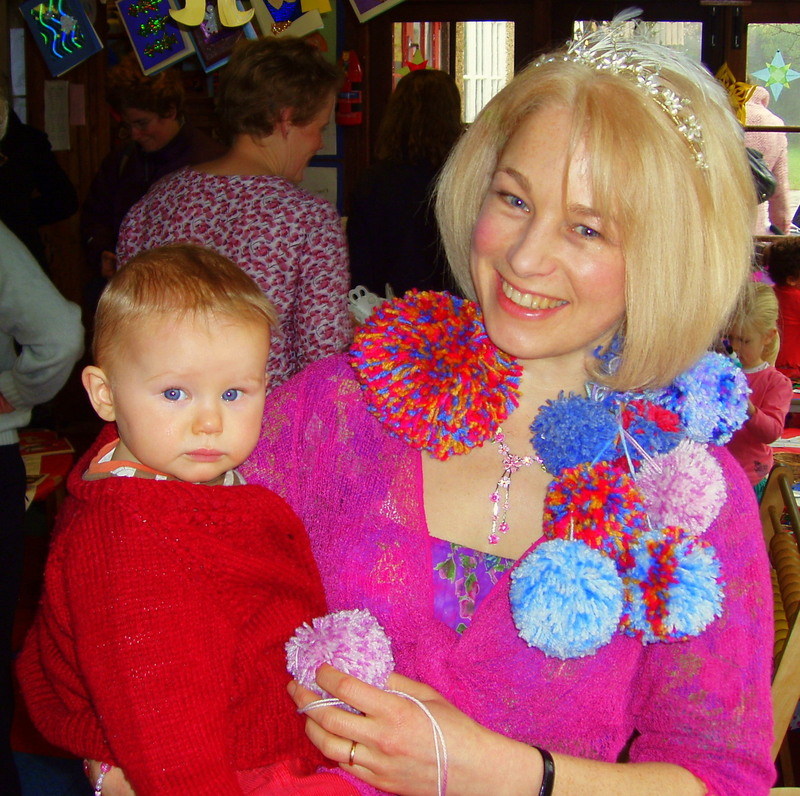 This is a blog devoted to promoting happiness and natural living for young children, their carers and families. Maybe you are pregnant, or are a parent, step-parent, grandparent, auntie or uncle. Or perhaps, like me, you’re a nanny or childminder. Or you might be a foster carer or have one or more adopted children. 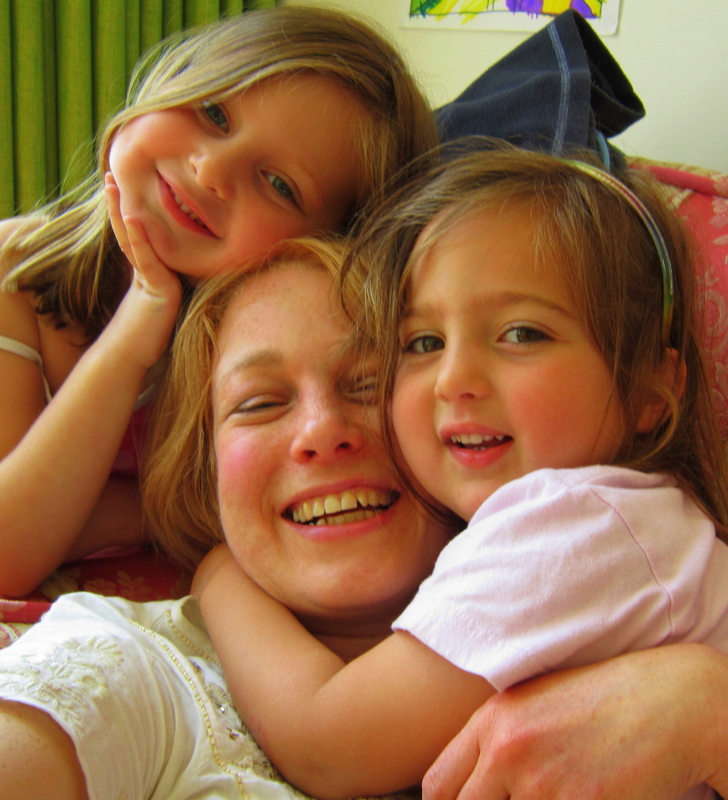 Whatever your type of family, whether you’re a home-schooler, nursery or primary teacher, if you have just one child or a whole brood or class to care for, my hope is that you will enjoy browsing through my blog and find some new and interesting ideas on these pages to inspire you and your children. I like to work with children in a slightly different way. Rather than always being the leader, I see my role as facilitator for their explorations of the world. 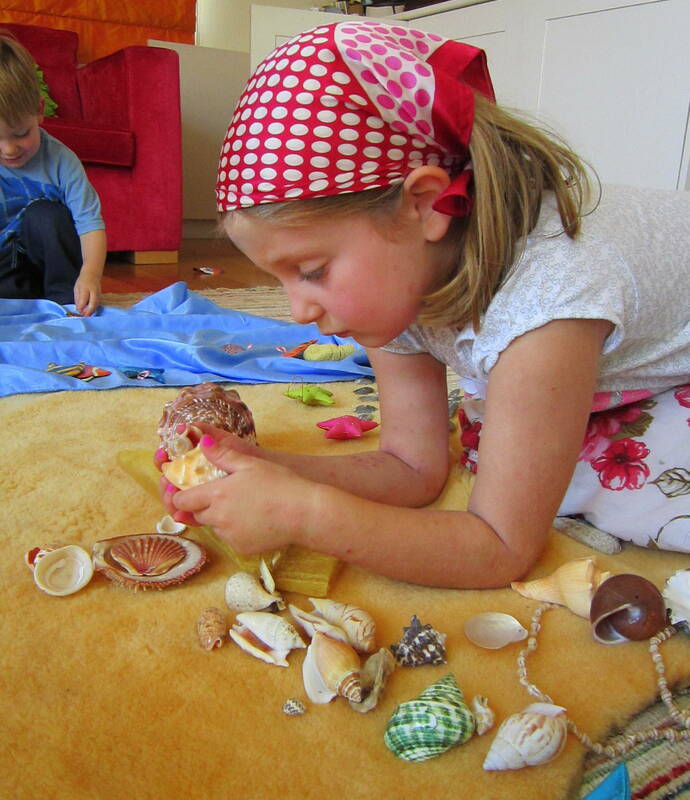 I like to often follow and listen to them, joining them in their play, helping develop their interests and affirming their discoveries. I love to learn from them about how they see life. It makes my life more wondrous, fun and adventurous! I like to take all the time in the world. Time is irrelevant to a child. Time limits are a nuisance and get in the way of real exploring and discovery. It takes as long as it takes. 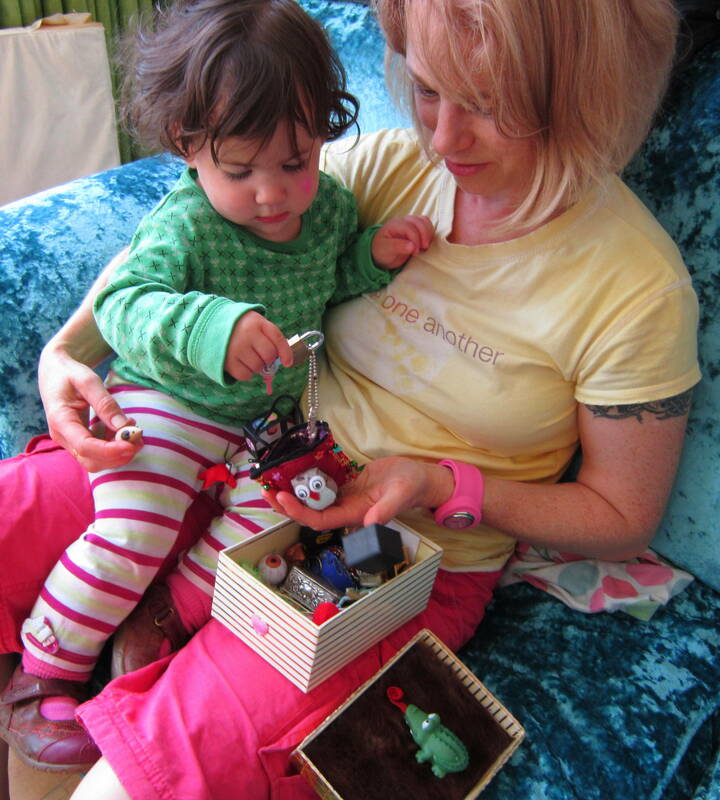 I love to present a box of fascinating objects to a small child and then watch what she does with them: it is she who is setting the pace and I am merely the encourager for whatever she wishes to explore and discover. I have learned not to wade in and show her MY way of using these objects, because she often surprises me with her own imaginative ideas. On our journey of discovey together, you’ll meet up with the little girl below and many others in the pages that follow….. I am a creative, spontaneous, playful person who is passionate about childhood and helping to make it a more magical place. I’ve nurtured and played with children from newborn to age 13, including children with autism, Downs syndrome and cerebral palsy, for over 25 years, in their homes, nurseries and schools, as a playleader, mother’s helper, after school/holiday club supervisor, special needs facilitator, teacher assistant, nursery school teacher, childminder and currently as a private nanny (or “creative play specialist” as I prefer to call it!) for two young families. In my spare time I make and sell natural toys in my online shop at http://etsy.me/2FNqChn . I’m also very interested in natural health and living, and have done a lot of research into various healthy ways of being. As well as Early Years education, I’ve studied Art and Design, several alternative therapies and psychology. I grow and use my own edible and medicinal plants and eat organic healthy food. I love to be creative and to teach and help people. I am inspired by the work of Barry Neil Kaufman and his Option Process, which teaches happiness as a conscious choice. I am fascinated by the power of the human mind and intrigued by the power of stories to reach deep into the subconscious. 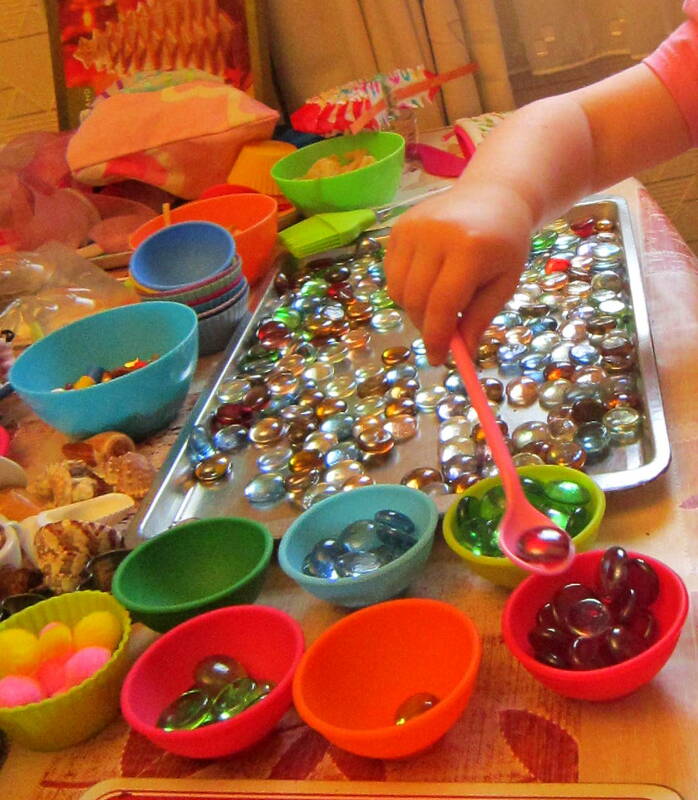 While working in a Montessori/Froebel-based nursery dedicated to natural play, I began to develop the idea of making a Discovery Box after watching the contentment of children playing with a beautiful bowl of glass pebbles… and later, with a bowl of grain which they were scooping and pouring with simple sensory delight. I added nuts and seeds, spoons and more bowls…. 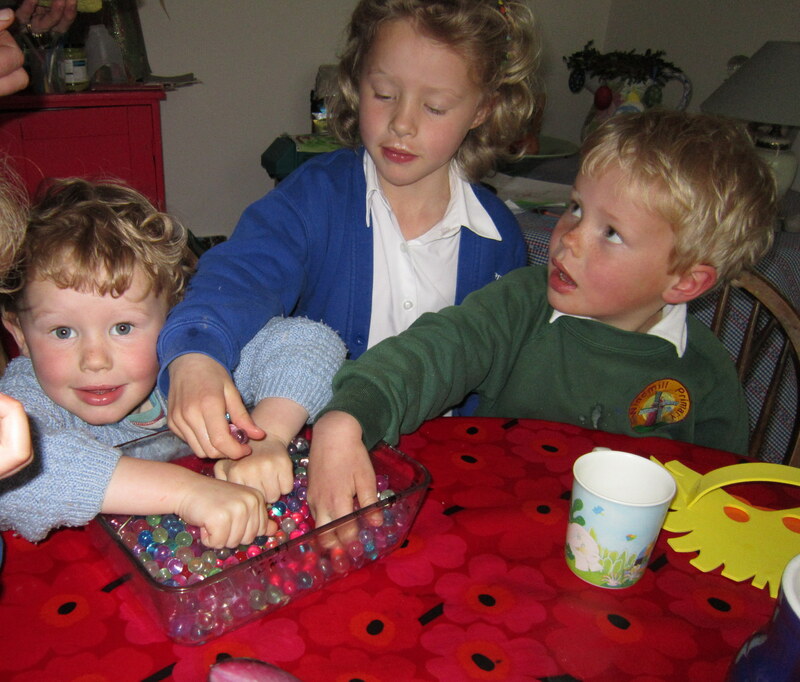 and the children spontaneously commenced the classic Montessori activity of transferring objects from one container to another, over and over. Not a ‘toy’ in sight. 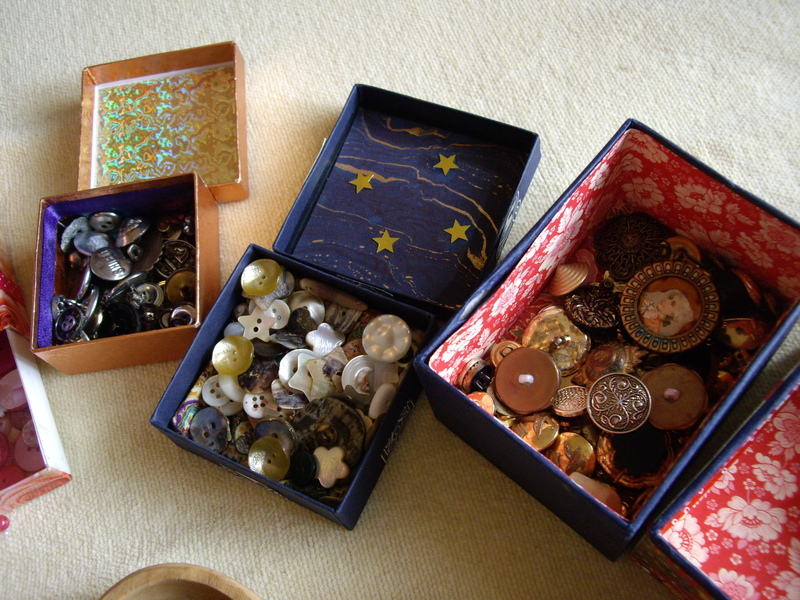 I began to wonder, what else could we do here?…..
My other inspiration was my mother’s button box when I was a child. It was just a collection of old buttons in a tin, but it was also the most amazing educational resource. It taught me to count, do sums, learn about colours, shapes and sizes. I played with it for hours. I began by covering old shoeboxes with pretty paper and collecting little items to put in them. The first was my mother’s button collection, which I had been adding to. As the children played with it they gave me ideas for more items to add. The first Discovery Box was born! And many others soon followed. The input of the children has been invaluable in this process, as I test new ideas out on them every step of the way. If something doesn’t work, I ditch it. If they have a better idea, I add it. I have to say it is the most marvellous fun creating your own Discovery Box, and even more fun if the children help, as they have so many creative ideas for more things to do with the Boxes! 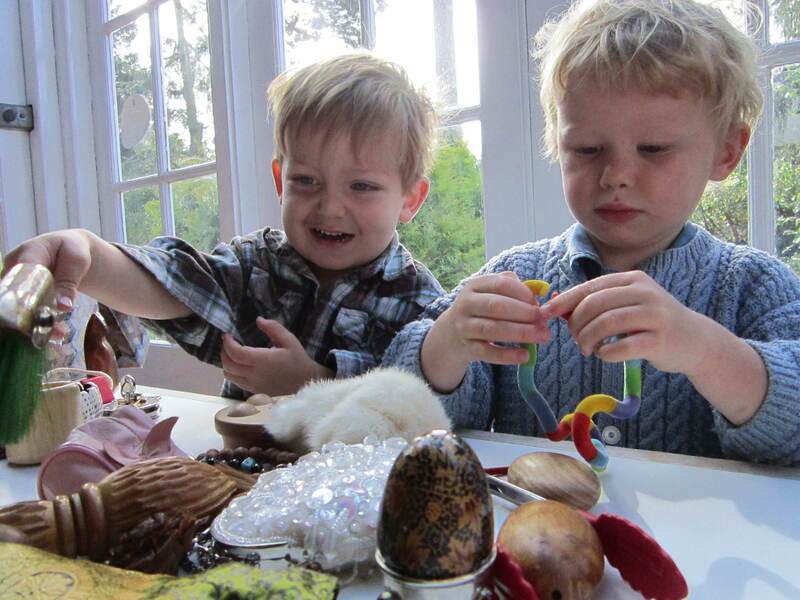 My wish is for every one of you to share the joy of creating a Discovery Box with your child. I’ll shut up now and let you take over…. so go on – off you go and explore!